A main GMP requirement for GMP regulated active pharmaceutical ingredients (APIs) and drug products (DPs) is the need of a written stability program / plan. The results of the stability testing are to be used in determining appropriate storage conditions and a product's expiration date. The WHO as well as the ICH have issued various guidelines for stability testing of marketed pharmaceutical products, products under development and stability testing of new Drug Substances (APIs). The purpose of a stability testing program is to establish a re-test and to define storage conditions that could influence the quality of a drug substance or drug product depending on a variety of environmental factors such as temperature, humidity, and light. This Standard Operating Procedure (SOP) / Stability Study Program (Plan) will certainly help you to set up a concurrent Study Plan and Protocol in compliance with regulatory expectations. This procedure is applicable to drug substances and drug products. 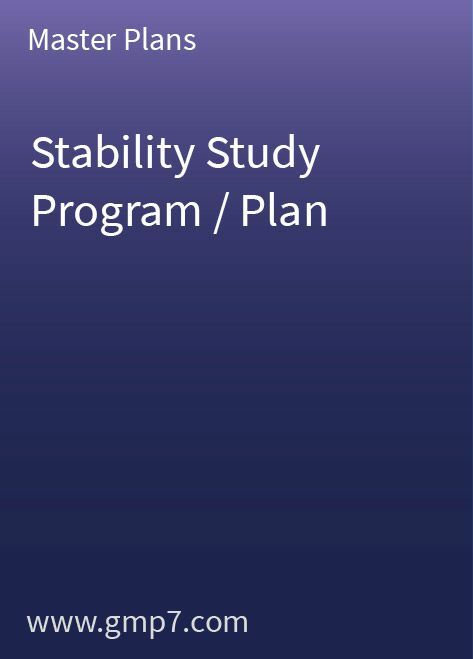 This Standard Operating Procedure / Stability Study Program (Plan) consist out of 29 pages including 5 attachments and need only a little amount of company-specific modification before it can be used.